Gearing up for NaNoWriMo—National Novel Writing Month—when I am committed to writing the first draft of a 50,000 word novel in 30 days. Starting November 1, less than a week from today!! I did it once, in 2011, and that was while I was working full-time. Shouldn’t be so hard to write about 1,667 words a day now that I’m retired, right? Unfortunately, I’ve turned into one of those retired people who can’t imagine how I even managed to fit work into my busy schedule….lunch with the ladies from my writing group….Pilates once a week and yoga sometimes…..submissions for my writing group…..noontime walks with Judy….How did I do all those things and work? Let’s see—I do more laundry than I used to….I vacuumed the other day….I take more naps….and, um, has much of anything else changed? I try really hard to write more. I was working on my umpteenth revision of “Anne,” after vowing to complete that version before the start of NaNoWriMo. Well, that never happened. Not even close. But I worked at it, every day, which was good preparation for NaNoWriMo. Then our wonderful vacation to Arizona disrupted the flow. Totally worth it, however. The big change is in my attitude, in my approach to the daily tedium of life. I’m less hyper, more relaxed, as others have felt free to point out. Yet sometimes I wonder if I shouldn’t be the opposite. With my adrenal cancer diagnosis and the remote chance that I won’t live to be 90 years old, shouldn’t I be more amped, more energized, more productive? Shouldn’t I try to cram as much living into every day, every hour, every second? Nah, I think I’ll just take it as it comes, do what I feel like when I feel like it. Every time I watch it—or visit CHaD–I am reminded how fortunate I am that I was blessed with a full life, children, grandchildren, career, a long and happy marriage, before my cancer diagnosis. Not all of the kids who are admitted to CHaD have that to look forward to. 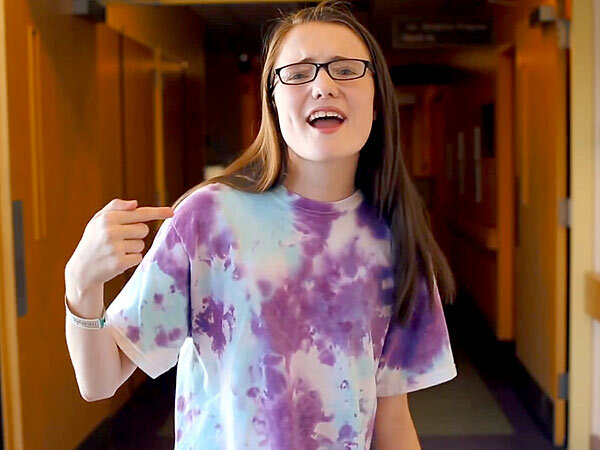 Our niece, Meghan Richardson, is one of the “stars” of the video. She has cystic fibrosis and gets admitted to “Hotel” CHaD a couple of times a year when her lung functions drop. She’s been going there sixteen years now—they actually saved her life when she was four months old. When we visit Meghan at CHaD, we see how much of a second home it is to her. Over the years she’s taken more control of her medical care—and I imagine there are times some of the staff wish she were less assertive, that she “roared” less. I wish I had known how to roar over a year ago when I was first experiencing symptoms of my adrenal cancer. Granted, my treatment and outcome may not have been any different if I had been diagnosed three months earlier but I might not have felt so powerless during the time while I waited for my diagnosis. It helps to be reminded that I still need to be in charge of my health care. Yesterday was my quarterly CT scan. The preliminary reading is that everything is stable. And now we can breathe. For another three months. After my appointment we were going to hang around for the filming of the Piers Morgan/CNN interview with Meghan, Maggie, and Holly from the video but it wasn’t scheduled until 8:30 p.m. and we decided that watching the interview from the couch in our jammies was more appealing. Not to mention that we would be able to see the Red Sox play (WIN!!) the first game of the World Series. There are no coincidences, we like to say around here. (Frannie, my nurse yesterday in the oncology department, happens to be in the video!) Meghan would not have been in that video if her lung functions hadn’t dropped. It was filmed on the first day she was admitted to CHaD but you would never know she was as sick as she was. That’s the spirit of the patients at CHaD—and their parents, health care providers, and staff. They are amazing. Inspiring. I love this place even though I am a rock ‘n roll kind of girl! 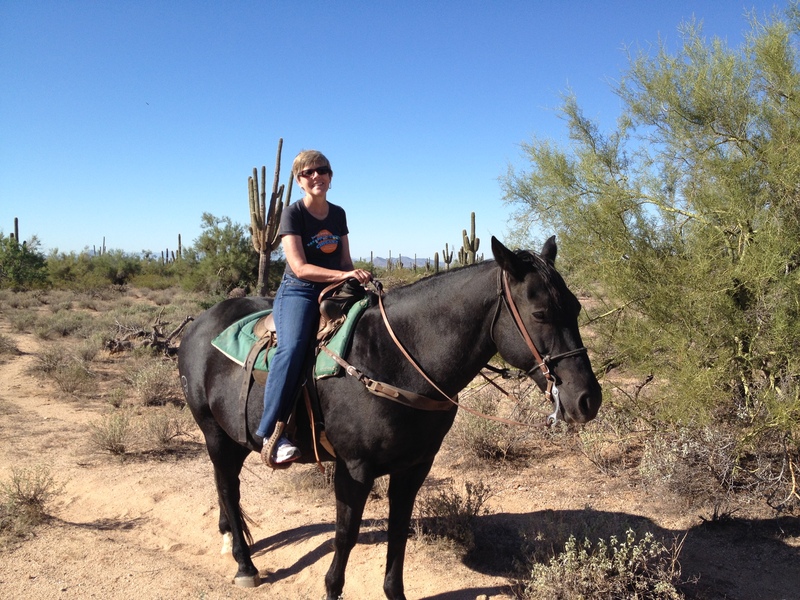 Just spent ten days in Arizona on vacation with our daughter Joy and her family. I thought I would find time to work on my blog and on my book, to think about adrenal cancer. I didn’t end up doing any of that. OK—I did spend some time thinking about ACC, how could I not? It’s my life now, even in my Facebook news feeds. Listened to a podcast from MD Anderson of a Stage 4 ACC survivor on the trip home from Boston. Encouraging! We were busy all of the time and I loved every minute of it. Especially the constant warm temperatures (90’s! ), blue skies, and sunshine, which I blame on preventing me from sleeping. That would have been a good time to write but I didn’t–blame it on Ken Follet’s long book, “World Without End.” I can only dream about writing a book that keeps someone up until 2 a.m. Vacation with the grandkids is always go, go, go. Football practice. Football games. Shopped at the malls, so many to choose from, so close, not like at home. Celebrated Joy’s birthday. Skipbo marathon with Haley. Yoga with Joy . Breakfast at Liberty Market with Haley followed by the splashpad while Joy taught a class at Gilbert Yoga. Lunch at Queen Creek Olive Mill. 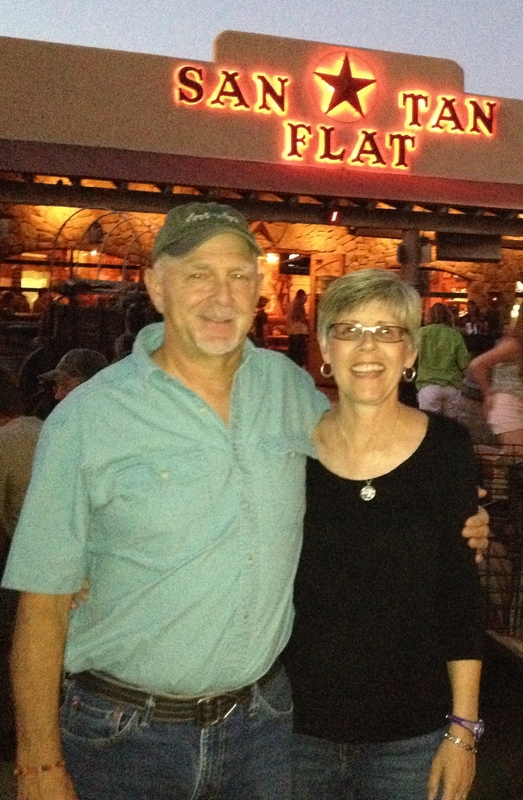 Dinner at San Tan Flat—a blast and I indulged in one of their awesome margaritas. Not all on the same day–but we do tend to eat out a lot while we are on vacation! Swam in the pool fully clothed with Haley. Hiked a new trail (to us) in the San Tan Mountains. Toured the Phoenix Zoo. Finally arrived in Boston after a disappointing boarding of our flight in Baltimore on Southwest. After several elevator rides elicited the assistance of a Massport employee to find our truck in the Logan parking lot. Rain and 47 degrees when we finally headed out onto I-93. Vacations are great but it’s always nice to come home.